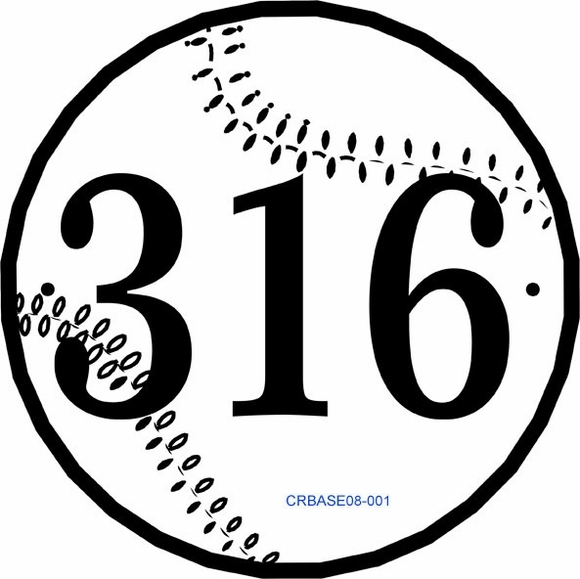 Personalized Baseball Shape Address Sign - - 8" round one-line address number plaque holds up to three (3) 3.5" characters (letters or numbers). Made in USA. Address plaque in the shape of a baseball is perfect for all baseball fans including little league fans, players, parents, and coaches. Laminated acrylic baseball address sign crafted in the USA by skilled artisans to assure the highest quality.